LQBTQ community could be improved, as well as our competency in serving the mental health community, our housing services and our competency with communities of color," he said. He also hopes to foster a more culturally inclusive atmosphere and would consider hiring a more diverse staff to meet the needs of these groups. 'As far as diversifying our workforce and our hiring practices, I don't think it's difficult to hire diversity. I think it's difficult to maintain a welcoming environment that meets the needs of people from different cultures and different backgrounds. Until we are able to create that culture here, retention becomes an issue," Chiacchierini said. Neighborhood House has already developed a reputation for helping a wider array of citizens than most nonprofits of similar ilk. The organization has programs for parents, preschoolers, low-income residents, immigrants and senior citizens, among others. However, Multnomah County has recently allocated more funding to culturally specific organizations. Moving forward, Neighborhood House will have to decide whether to specialize, expand or maintain its current model. said. "The demand for low-cost housing for seniors continues to increase." Chiacchierini said he is assessing the organization's current budget to make sure Neighborhood House can weather potential setbacks, such as another recession. Increasing funding is a top priority, he said, and he hopes to be able to convince funders that the organization is worth investing in. Currently, 80 percent of Neighborhood House's funding comes from the government. "Government funding is up and down at best. It's inconsistent. And in certain areas, it's been declining. That's always the challenge for every nonprofit. I would argue that makes the inward focus important for us. We have to be able to demonstrate and tell stories. We might be sustainable year-to-year, but it changes. But let's say the funding changes or the program changes — that's a stressor that's introduced into the system. If our model is designed only to succeed when things stay the same, then we're not sustainable," Chiacchierini said. During Nitti's tenure, Neighborhood House changed markedly. It nearly tripled its budget and staff, expanded to North and Northeast Portland and added additional programs. Now, Chichierinni will take his turn leading the organization into the future. "The hope whenever we make these transitions is that organizations find the right individual for the time," he said. "I think that's ultimately the hope of the board." 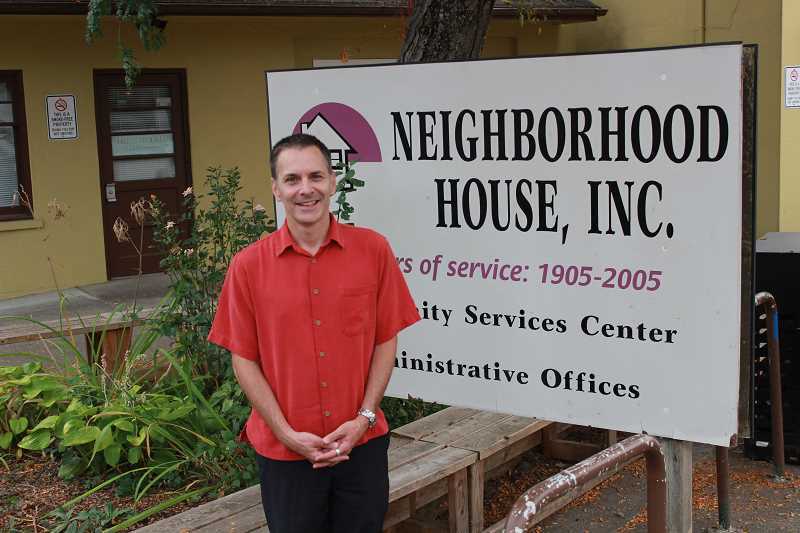 For more about Neighborhood House and the service it provides, call 503-246-1663 or visit nhpdx.org.